Race fans love watching drivers go head-to-head and wheel-to-wheel around some of the most difficult and competitive race tracks in the world. Whether it’s the high-speed and high-banked corners of Talladega Motor Speedway in Alabama, or the seemingly-endless desert miles of the Baja 1000, tracks all have a number of challenges that force the most skilled drivers to use everything they have to stay ahead of the competition. However, these races pale in comparison to the events held on our list of the five toughest tracks in the world. Let’s take a look at them now. We may be a little biased, but there’s no doubting this one merits being on the list. Located about a three-hour drive from our Clovis location, Mazda Raceway Laguna Seca has earned a reputation as one of the most beloved and extremely difficult tracks in the entire United States. The 2.2 mile course combines several high-speed straightaways with sudden tight corners that test just how long drivers are willing to stay on the throttle before slamming and testing the durability of their brakes. The track is most known for its feared “corkscrew” corner—a sudden, hairpin left-hander at the end of the long “rebel straight” followed by an immediate sharp-right, all while going down a relatively steep hill. The corkscrew is known for being one of the trickiest turns in all of North America. Located just north of the city of Milan in Italy, Autodromo Nazionale Monza is one of many famous Italian raceways known for bamboozling some of the best drivers in history. Known as “Ferrari’s Playground,” this 3.6 mile course is known for one thing: speed. 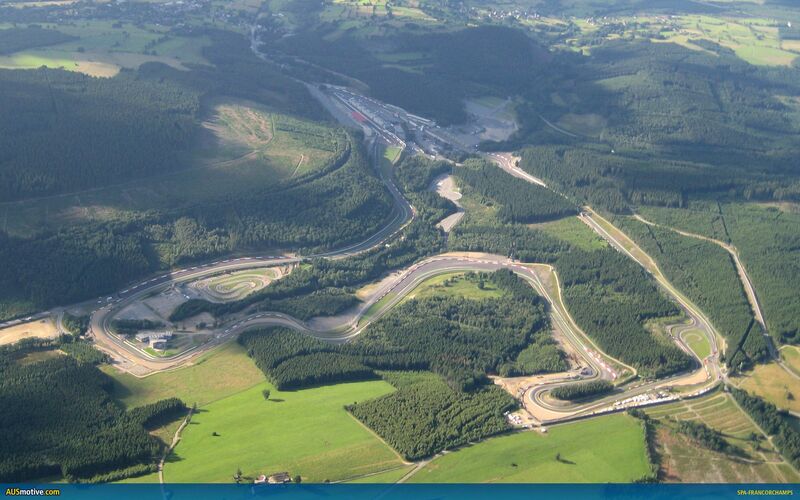 The start/finish straightaway is more than a kilometer in length and comes at the end of a sweeping turn 11. It’s not uncommon for drivers to reach speeds of more than 210 miles per hour on this circuit, making it a contest of not just speed and reaction time, but bravery, as drivers battle to complete each flying lap just a little bit faster than the rest. NASCAR fans know it as “Thunder Valley” or “The Last Great Colosseum,” but the rest of the world knows this challenging circuit as Bristol Motor Speedway. Unlike the rest of the tracks on this list, Bristol is not a complex circuit with numerous twists and turns. In fact, it is a perfect oval shape, about the simplest style of circuit track you can get. However, the half-mile length and corners that are banked between 24 and 30 degrees encourage speeds that would otherwise be impossible on a track of this length. This track encapsulates the idea of a fan’s dream is a driver’s nightmare: the track is small, tight, high-speed, and entirely visible from nearly all of the 165,000 seats that surround it. However, the confined racing area means loads of contact, crashes, and rapidly-changing strategy, making this a gruelling battle for the checkered flag and one of the hardest races of the year for teams to run. There is perhaps no more famous name in motor racing circuits than Mote Carlo. Formula One’s annual race on this track constructed from the streets running through the tiny nation of Monaco is known for being the most famous and prestigious auto race in the world. The track, officially known as the Circuit de Monaco, measures just over two miles in length, but the majority of the track is extremely narrow, the vast majority of the turns are exceedingly tight, and the significant elevation changes make this track exceptionally difficult to navigate quickly and passing a test of skill and patience. This also keeps speeds down, which makes it difficult for drivers to pull away, making for a thrilling race for fans to watch. Have the need for speed? Head to MB2 Raceways to test your skills on our indoor go kart tracks! Our circuits are designed to allow first-time drivers to learn quickly and improve while challenging even the most adept drivers for a European-style karting experience that is sure to thrill all drivers. Whether you’re looking to host a birthday party, corporate function, or just want to arrive and drive, MB2 Raceway has you covered! Call MB2 Raceway today at 866-986-RACE for more information!